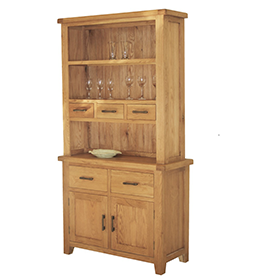 The Corona range is a traditional Mexican distressed pine range. Featuring black studs and drop down handles. The Corona Pine 1 Door 4 Drawer Sideboard has a hand waxed finished and is part of the very popular Mexican inspired Corona Distressed Pine Dining/Occasional Range.The Corona 1 Door 4 Drawer Sideboard also has distinct black metal hinges & handles and is a ruggedly styled furniture piece.